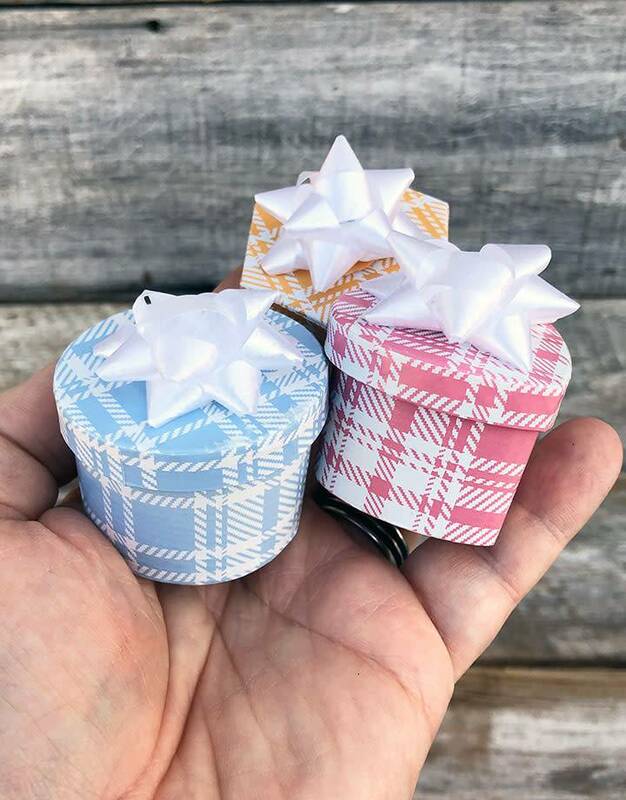 These hat boxes come in pastel plaids with white bows. 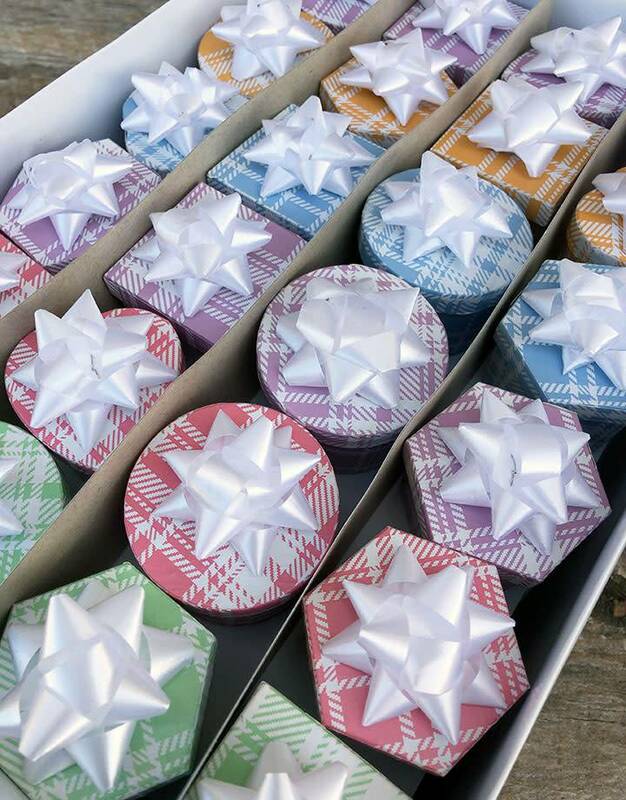 They have foam ring inserts. 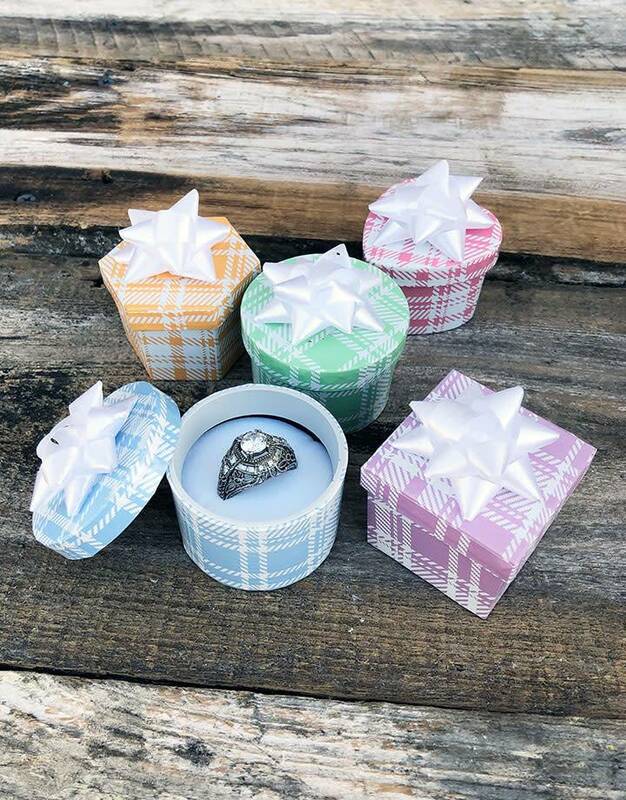 These jewelry ring boxes come in assorted shapes (round, square, heart, hexagon). They are about 1-1/2” in diameter. 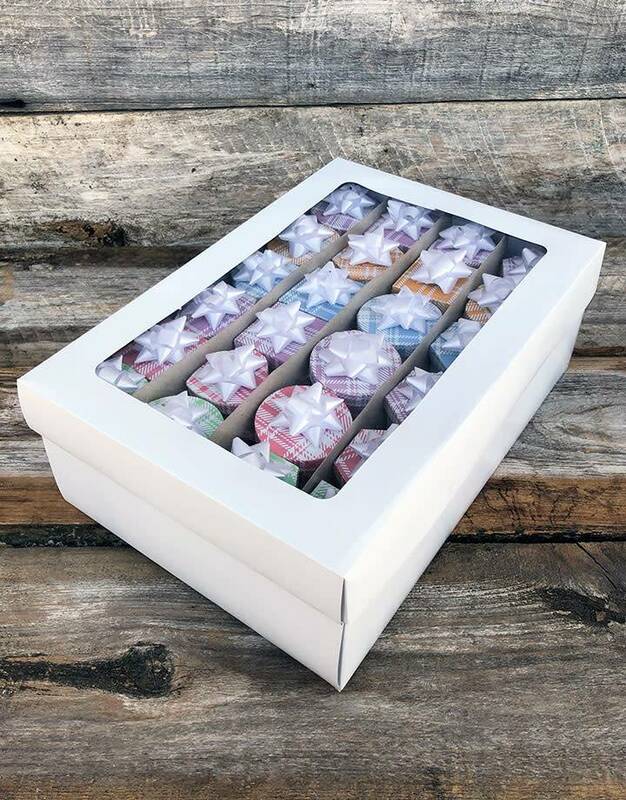 These wrapped gift boxes are great for your customers.